Just a few days after its official opening, we are delighted to announce that V&A Dundee will be the feature of the Building Centre Autumn 2018 Concrete Elegance lecture in London. 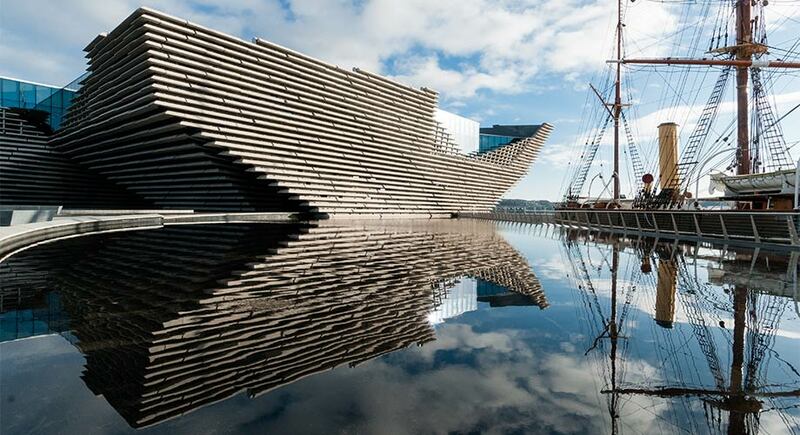 Designed by internationally acclaimed Japanese architect Kengo Kuma (KKAA), V&A Dundee stands at the centre of the £1 billion transformation of the Dundee waterfront, once part of the city’s docklands. 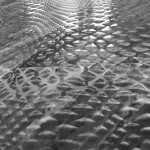 With its complex geometry, inspired by the dramatic cliffs along the east coast of Scotland, it stretches out into the River Tay as a new landmark reconnecting the city with its historic waterfront, and a major new cultural development for Scotland and the UK. Concrete is fundamental to the project’s construction, the building envelope created by a complex geometry of sloping near-black cast in situ concrete, supporting thousands of horizontal architectural precast elements. Maurizio Mucciola, Director at PiM.studio Architects, has been project architect and team leader from competition to completion, originally while at KKAA and then with PiM.studio, delivery architects for the project. For this evening’s event he will be joined by other key members of the design and construction team, to provide personal accounts of the development of this iconic building. This is an opportunity to get into the details of the project, with insights into some of the technical challenges and innovative solutions employed, with a particular focus on the concrete. The evening will conclude with a Q&A and drinks reception until 8.45pm. The event is free but booking is essential. As this is a joint event between The Concrete Centre and The Built Environment Trust, your booking details for this event will be provided to both parties.